Penny stocks are a great opportunity for investors who want to pursue gains without having to invest large amounts of capital. That's why the Money Morning team is bringing you the three top penny stocks to watch in April 2018. It's important to note that while penny stocks can provide investors with significant gains, they are also inherently risky. While there are a few penny stocks that have tremendous growth potentials, many of them pose a significant risk to retail investors. In order to avoid any substantial losses, we follow five rules for investing in penny stocks. Check them out below. Our top three penny stocks for April 2018 all have VQScores of 3 or better, meaning that they have strong underlying value and a solid chance of providing significant gains for investors. In fact, a few of them are slated to provide seismic returns, according to Wall Street analysts. Top Penny Stocks to Watch in April, No. 3: Fortuna Silver Mines Inc.
Based in Vancouver, Fortuna Silver Mines Inc. (NYSE: FSM) is a silver mining company. Fortuna operates two mines – one in Mexico and one in Peru. These mines produce a combined 8.4 million ounces of silver per year. In the last month, Fortuna's stock has risen 17.8% – largely in response to geopolitical uncertainty driving international demand for silver. According to Money Morning Resource Specialist Peter Krauth, this instability is a key part to driving up the value of both silver and silver stocks. In fact, analysts see global upheaval pushing Fortuna's market price as high as $9 in the near future. That's a gain of over 70% from the stock's current price of $5.25. 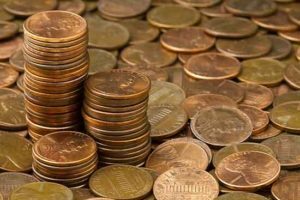 Top Penny Stocks to Watch in April, No. 2: Entravision Communications Co.
Entravision's profit potential lies with the nation's rapidly expanding Latino community, who's 55 million members makes up the majority of Entravision's customer base. Over the next 10 years, the American Latino population is expected to expand by another 24 million Latino Americans – an increase of over 30%. This growing audience is already showing in the company's growth. Over the last year, the company had a return on equity of 49.84%. That's over 350% higher than the industry average of 11.99%. With an expanding consumer market continually seeking new content from major Hispanic media outlets, it's likely that Entravision will experience sustained growth well into the future. And Wall Street agrees with us. Analysts have put a high price target of $11 on the company's stock, which is a 142% increase from today's price of $4.54. In an effort to avoid the pitfalls of normal penny stocks, Money Morning Small-Cap Strategist Sid Riggs looks for low-cost companies backed by strong underlying value and spectacular growth potential. Sid recently identified a new small-cap recommendation trading at a low price with incredible small-cap value. I'm eager to learn how to invest.